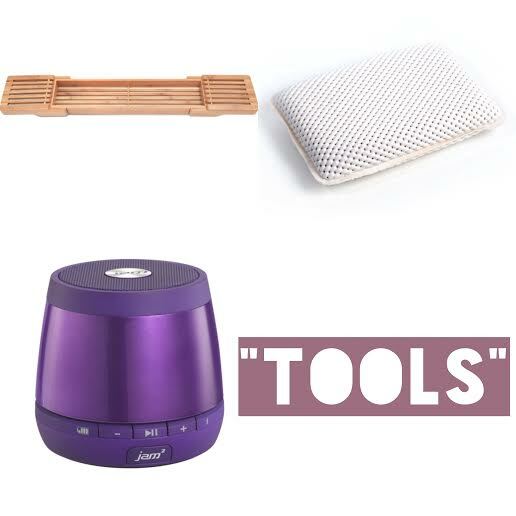 Lets start off talking about bath “tools” that are totally necessary..
• Bath Pillow – I bought mine a year or so ago from HomeGoods and it’s still in great shape and feels the same as it did the first day I used it. It has suction cups on the back so I don’t constantly have to adjust it and makes such a difference when laying back trying to relax and gives your neck the support it needs. • JAM Plus Portable Speaker – ANY portable speaker will work just fine. 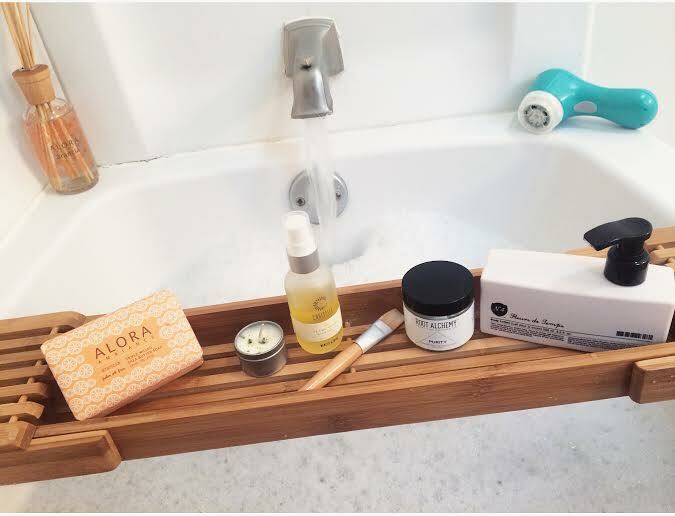 I love playing soothing music while taking a bath, it helps me relax and is definitely something you’d hear if you were at an actual spa. There are tons of free apps that offer spa/relaxing music, so no worries if you’re not sure what to play. My husband bought me the JAM speaker last Christmas, it’s cute & small and has a permanent spot in my bathroom, always charged & ready for bath time! 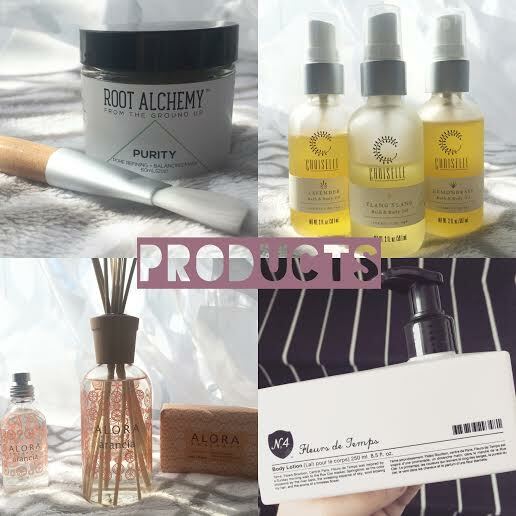 A few products I’ve been loving that are great for treating your skin & your senses..
• Make a simple DIY body scrub, refer to my last post for a coconut sugar scrub using only 4 ingredients that you probably already have in your house. • A DIY hair mask is a great option as well, I love the combination of avocado, coconut oil & honey! • And while you’re treating your skin & hair, enjoy a glass of lemon water or other detoxifying water, it will keep you hydrated & offers a ton of benefits! 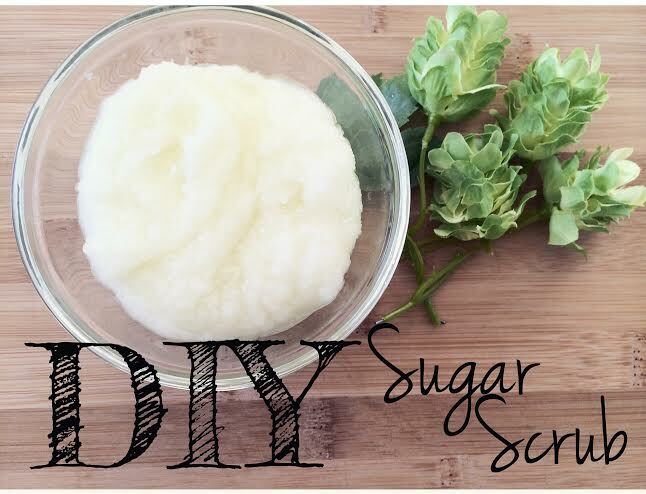 Previous Post DIY Sugar Scrub – Only 4 Ingredients!